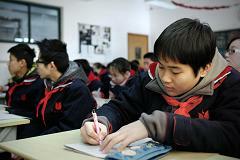 This entry was posted in About K-12 International Education News and tagged China, education reform, mexico, Spain. Bookmark the permalink. Perhaps one of the reasons that Mexico ranks so poorly in education rankings is that teaching jobs there are protected so strongly by the union–not just for the person holding the job, but for his or her children. Yes, that is correct. A teacher in Mexico can literally pass on or bequest their job to their kids. The child can either take up the position, or sell it.